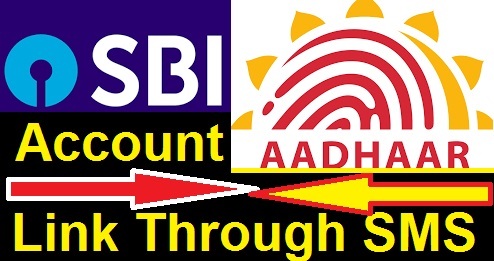 New Delhi: State Bank of India (SBI), India's biggest lender, offers many options to its savings bank account holders to seed their account with Aadhaar number. As The government of India has made it mandatory to link Aadhaar card to your bank account. According to the new rules, all existing bank account holders have to link their bank account to their Aadhaar within December 31, 2017. SBI users have the option to upload their Aadhaar details online or through SMS in a particular format or by visiting the branch. However, the most convenient and less time consuming way to link Aadhaar number to your SBI account is through SMS. The Aadhaar number will be verified by SBI with UIDAI. In case it fails verification, SMS will be sent to customer to contact any SBI branch along with Aadhaar number or e-aadhaar. Status of mapping will be intimated to the customer's registered mobile number. You can access any of SBI's ATMs and seed your Aadhaar with your Bank account. After swiping the ATM card and entering your PIN, select the menu "Service - Registrations"